In 2008, Carol Dweck published Mindset: The New Psychology of Success and many educators have applied the mindset principles in creative and thoughtful ways and have experienced notable results. In this book Dweck discusses students’ mindsets—how they perceive their abilities—and how mindset plays a key role in motivation and achievement. She found that if we as educators work to change students’ mindsets, we can boost achievement. More precisely, Dweck discusses, "students who believed their intelligence could be developed (a growth mindset) outperformed those who believed their intelligence was fixed (a fixed mindset). And when students learned through a structured program that they could “grow their brains” and increase their intellectual abilities, they did better." Finally, Dweck discovered that teaching children to focus on the process that leads to learning (like hard work or trying new strategies) could foster a growth mindset and its benefits. But how does one begin to develop and encourage Growth Mindset? Where does it start? Below are 12 ways to foster growth mindset in schools, and specifically within your 100 Mile Club®. What are we doing? Why are we here? How do we encourage our students to show up every day and put in the work it takes to achieve true success? I believe we need to give our kids a shared sense of purpose...a real and palpable reason to show up every. single. day. We all long to be part of something bigger than ourselves. We all long for meaning. What if that meaning and purpose were tied to an irresistible goal? 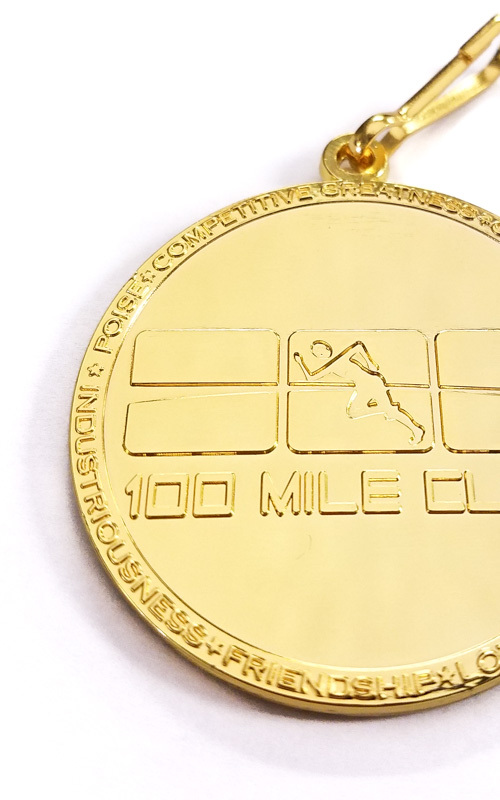 Our purpose at 100 Mile Club is clear and simple: Run (or walk) 100 miles and earn a Gold Medal. Make no mistake, we're going to learn a LOT and have fun along the way (more on that later! ), but our core purpose is as clear as crystal. Having a bigger purpose keeps us invested in the small, often difficult steps we must take to accomplish our goals. If we can teach our kids to chip away at long-term goals bit by bit, with an eye on the big picture, we are helping equip them with the grit, enthusiasm, and desire to attain personal goals and seek purpose in school and life. Start as early as possible, especially before learning becomes more challenging as your students move in to middle/high school and beyond. Enjoy the journey. Celebrate the little steps and victories. See the beauty in the struggle. Reflect on lessons learned. Recognize those magical moments when real growth and learning take place. We want our kids to value and embrace the process of learning, getting stronger, mastering a new skill, inching toward goals. 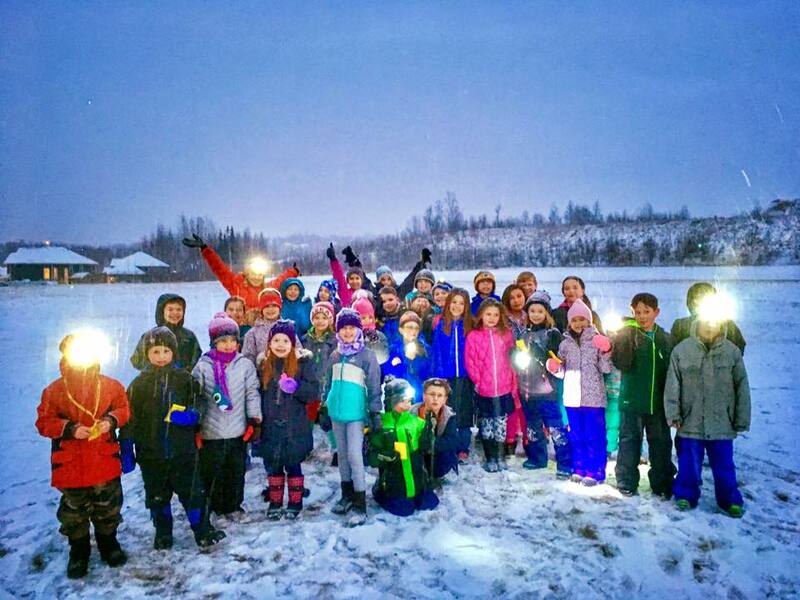 As a teacher, there is nothing better than witnessing a lightbulb moment like this. He not only learned, he demonstrated his mastery without prompting and then continued the "NUMBER 4" theme by literally "Going the Extra Mile" to make 4 miles for the day. Smiles all around! If we teach our kids to truly enjoy the learning process, and not to mind when it gets hard, looks a little ugly, or takes longer than expected...we have scored a victory. We want them to love and revel in the process of growth, improvement, achievement. In the journey to run or walk 100 miles, the magic truly lives in all of the little things that happen along the way. So stop for a sec. Take a deep breath and look around. It is already happening. Recognize the little things each day, teach your kids to do the same, and the spirit of Growth Mindset will flourish. If you so choose, challenges can make you stronger. If you so choose, the disappointments can make you more determined. Challenges are simply opportunities for growth. Welcome them. Let them change you and the way you think. The very top of Coach John Wooden's Pyramid of Success is "Competitive Greatness" in which he states that part of true greatness is "enjoying a difficult challenge". Some call them problems. We don't. 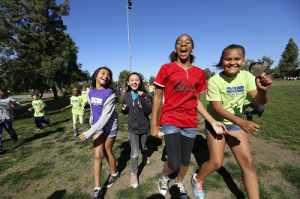 When faced with a challenge, 100 Mile Club Kids and Coaches say...Bring it! In Christa's school, and in countless other 100 Mile Club Schools around the country, creativity, innovation, and growth ALL come from the obstacles, challenges, set backs, and change that lead to that all-powerful desirable struggle…the struggle that leads to development of a natural Growth Mindset culture in our kids, teachers, and schools. Doing something fast is not the same as doing something well, and oftentimes, doing something well...or to the best of your ability means allowing time to reflect, make mistakes, practice new things, and master new skills along the way. 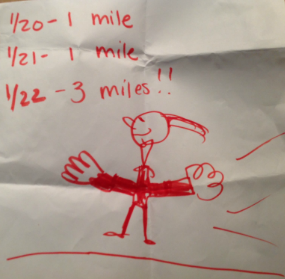 The drawing above was sent to us by a 100 Mile Club coach. It is from a child who has recognized that she has run more than ever before. The way she writes "3 miles!!" and her drawing of herself smiling with arms wide open, savoring her success shows pure joy. She has, in her own way, reflected upon and is celebrating her own personal growth...and her coach recognized this, celebrated with her, and shared her triumph with others. 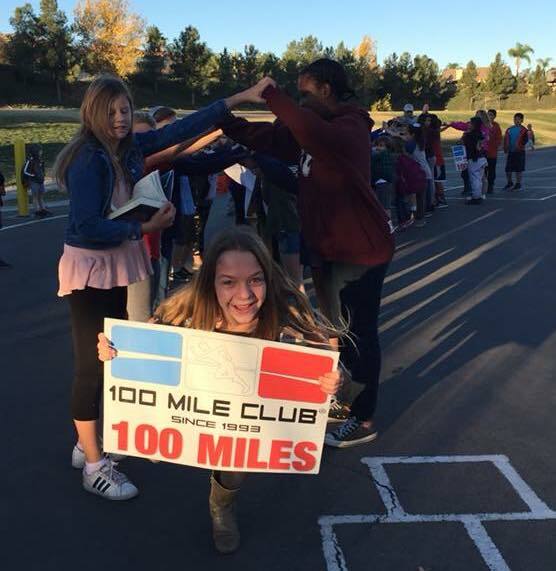 The goal of 100 Mile Club® is for each runner to complete 100 miles over the course of their school year. 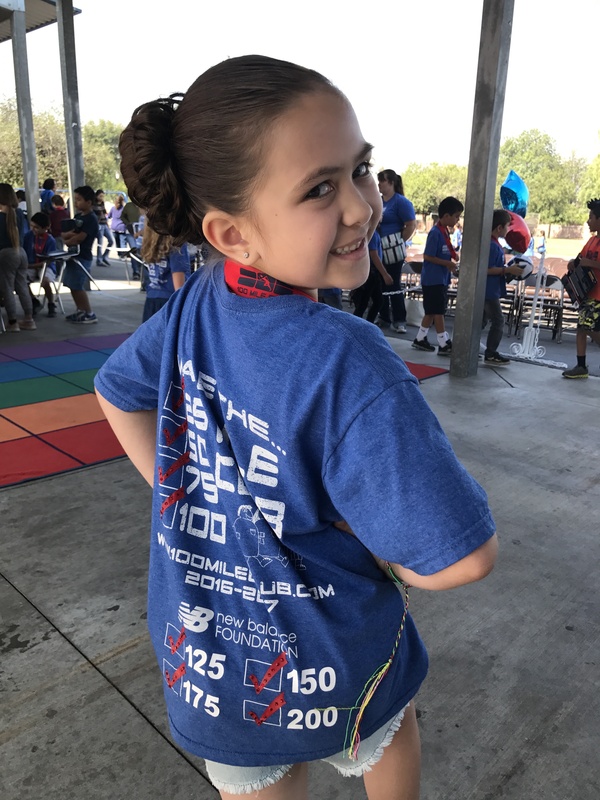 There is no big prize for the child who makes it to 100 first, but there are recognition opportunities for kids who exceed their goals, work hard, reflect on their progress, dig deep, and savor every mile. All Gold Medals are awarded at the end of the year to those who reach 100 miles or more, giving each participant the same amount of time to complete their personal goal. It's what you do with the time you have that is the most important part of this. Teaching kids to recognize their own true, personal success (AKA growth) in all forms is an essential element in teaching, developing, and supporting Growth Mindset. Her 100 Mile Club team is there to celebrate her special moment with a "Victory Tunnel" created by the very same team mates who are there to cheer for her, knowing that if they work hard and keep progressing, they too will get their moment in a tunnel made just for them. Celebrating accomplishments as a group is another wonderful way to encourage growth mindset and team spirit. When we learn to recognize growth in ourselves and celebrate that growth with others, we not only reinforce progress toward goals, we encourage our students and school communities to develop a culture of growth mindset, team spirit, and personal success in all forms...and it can truly change lives. The same environment exists around you, regardless of how you choose to see it. You make ongoing choices about how you interpret your environment and your interpretations are directly based on your attitude. When you wake up in the morning, stop. Notice how you’re feeling. Make a conscious effort to see your world in a positive light. You tend to get what you expect. Expect greatness and growth and own your attitude. Your attitude is important enough that it can essentially be the difference between your success and your failure. In Tristan's case, his attitude helped him complete 1,095 miles in a single school year! 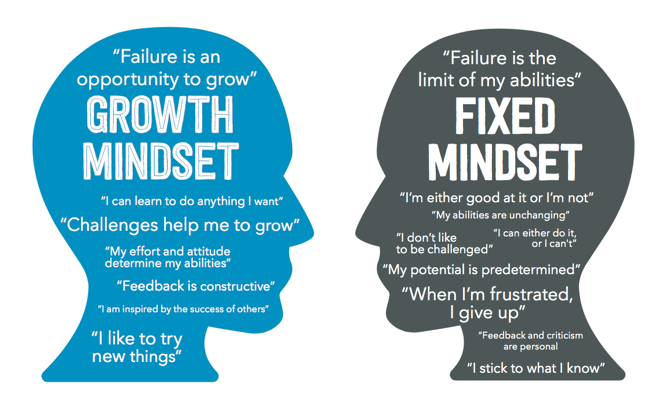 Once you develop a growth mindset, let it shape your attitude and own it. Acknowledge yourself as someone who possesses a growth mentality and be proud to let it and your positive attitude guide you to true personal success. We hear it all the time...and it is often paired with a shrug of the shoulders or a dismissive shake of the head: "Nobody's perfect." Often times, the utterance of this statement is the end of a discussion, when in truth it should be the beginning. It is only after you acknowledge and embrace imperfections and challenges that you can truly overcome and conquer them. This is as true for an individual as it is for a school, club, organization, or even a simple 100 Mile Club running event. Watch below as a young runner, Amanda, first recognizes that her coach (aka me!) has forgotten the "lap sticks" and quickly does something about it without hesitation. As a group, we chose to use pen and paper to mark laps that day (oops!) but this sweet girl did us one better, picking up sticks from the planter for each lap and a dandelion for her half-mile finish. Because Amanda overcame our shortcoming that day, she left with 4 1/2 more miles toward her goal of 100 miles. She embraced our imperfection and turned it in to a triumph! Acknowledge your own imperfections and those present in your school, class, or organization. Once you do this, you can jump those hurdles, overcome those challenges, and triumph over anything that comes your way. Actions are controllable and tangible...recognize a specific action and you will see more of it not only in the person you are recognizing, but also in others who see the action and are inspired to do their best. Here's an example: Rewarding an Action: Jackie, you beat your personal best mile-time today by 6 seconds. Nice job! Way to give it your all and set a new personal record! Rewarding a Trait: Jackie, you are the fastest runner in this class. Rewarding a specific action vs. a personal trait is so much more powerful, tangible, and controllable. Tell kids when they are doing something awesome, then tell them exactly what they did that was awesome. (They might not even recognize it themselves.). Recognizing actions over traits will help students learn to identify positive actions in themselves and others, helping to create a culture of growth mindset, a desire to grow and improve, and to share and celebrate with others. As the saying goes...There is no finish line. Never stop learning. Never stop growing. Never stop improving. There is a sweet satisfaction in achieving a goal, but a growth-minded person isn't fully-satisfied until a new goal is set and the journey continues on. Living with a growth mindset means you need both: journey and destination. Once you reach your destination, the journey begins again with a new goal. Goal-setting, both long and short term, are at the heart of the 100 Mile Club. On the journey to 100 miles, we celebrate 4 major MILEstones: 25, 50, 75, and of course, 100 miles. 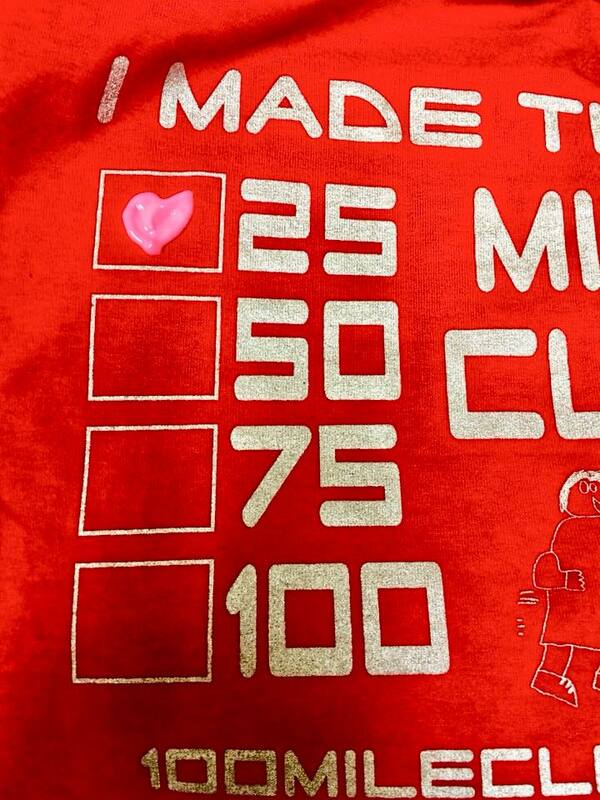 Goals achieved are literally marked (see above) on the back of each runner's 100 Mile Club T-Shirt. Once that 25 miles box is checked...it's on to 50, then 75, and finally to the 100 mile mark! After the 100-mile goal is achieved and celebrated (of course! ), growth mindset takes over! Our kids have actively experienced achieving a goal and setting a new one 4 times over, and now...it's a habit. They can't help but set a new goal, over and over and over again! 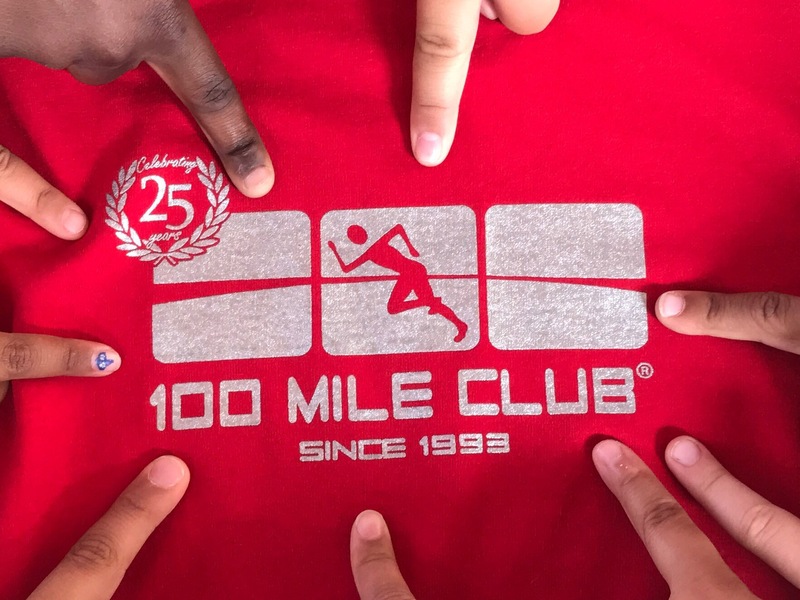 100 Mile Club Kids literally wear their goals on their backs, allowing others to see and celebrate their success and goals achieved. Goal-setting. Embracing the journey. Celebrating success with others. It's all here, is an essential part of developing a growth mindset and lives at the heart of 100 Mile Club. ...we're talking about the kind of risks that make you step outside your comfort zone, the kind that you can't stop thinking about, the kind that scare you just a little bit. Yeah, take those kids of risks...and take them out in the open, in the company of others. 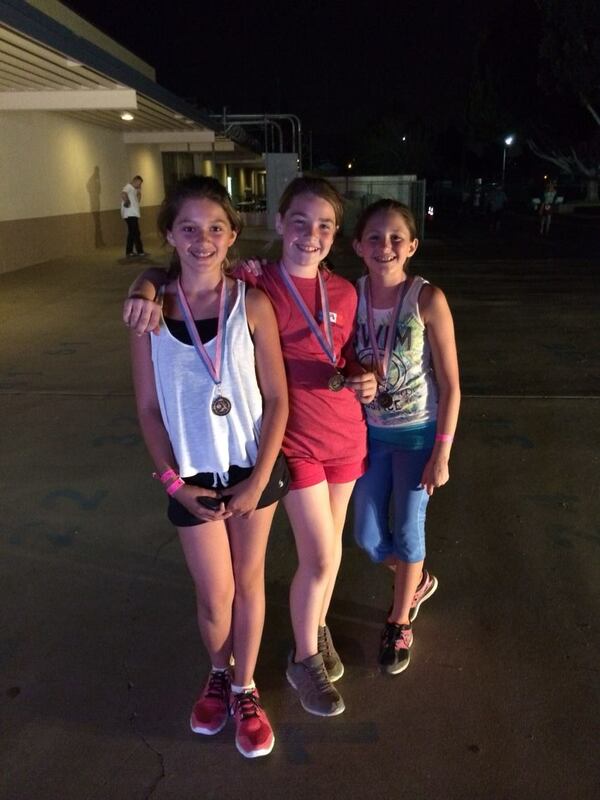 The 3 girls in the photo (right) made a pact at the 100 Mile Club Run4Kids in 2014: They each wanted to run 24 miles in 12 hours. 2 miles every hour for 12 hours. Run, rest, repeat. That was the plan. This was a HUGE undertaking for each of them, and it was not easy by any means. Everyone knew what they wanted to do that day, and everyone cheered them on. When they each finished their 24th mile, their tears of joy were felt by all. Make the effort to try something you are not completely ready to do. You know that moment when your heart jumps and you take a deep breath and you think "Oh man, I'm not sure I can do this." and you push through that moment? Whether you succeed or fail, that’s when you have a breakthrough. That's when growth happens! Let yourself goof up now and then. It will make it easier to take risks in the future. The point? Sign up for the race. Make the call. Do the thing. That is where the magic happens. Grit is raw endurance, perseverance, passion, and a dash of pure stubbornness. It keeps you going despite obstacles. Grit is living life like it’s an ultramarathon, not a sprint. Grit is keeping your eye on the prize and pushing through challenges, even when things get rough...actually especially when things get rough. 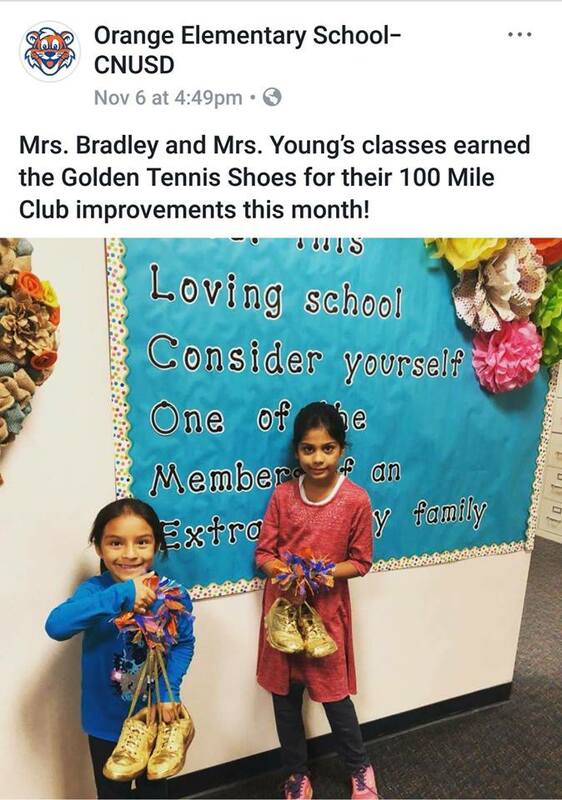 At the heart of 100 Mile Club lies the cultivation of grit in its purest form...we teach our kids about passion and perseverance, while pursuing a simple goal: run or walk 100 miles. We teach our kids to stick to it, day in and day out. Not just for the day, not just for the week, but for the entire year. 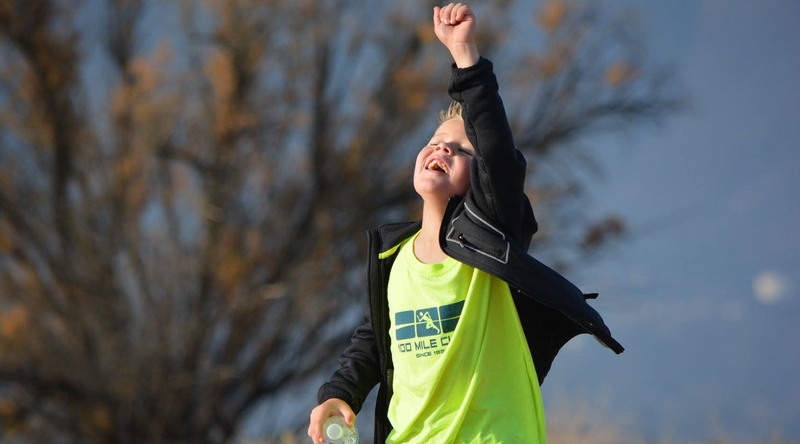 100 Mile Club Kids learn what it feels like to work hard, push through challenges, and overcome obstacles. 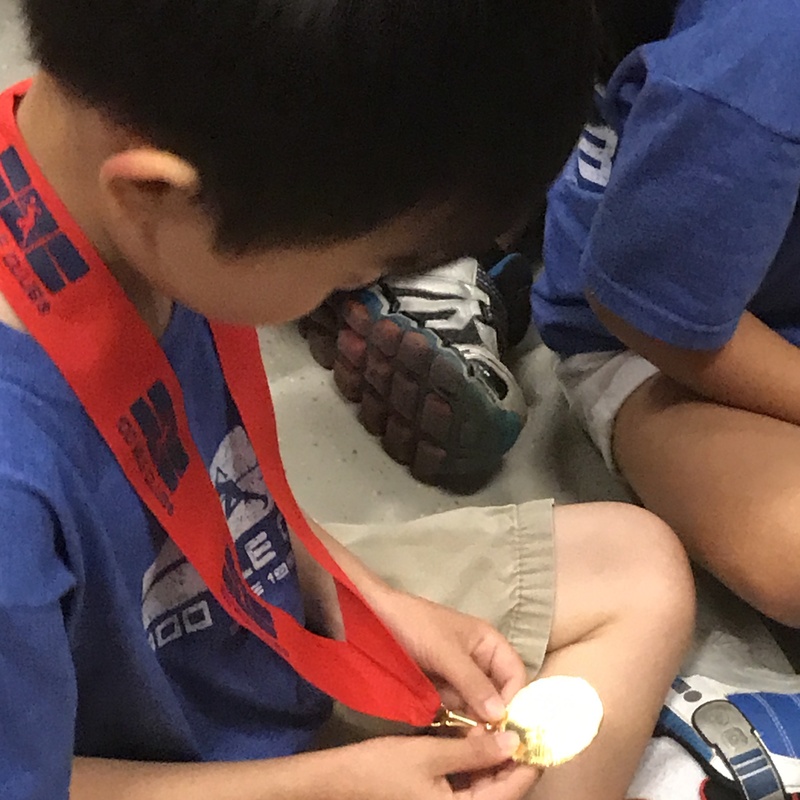 And when they complete their 100 mile journey and finally receive that coveted Gold Medal, we teach them to recognize that it was their own hard work that led them there. When kids recognize the feeling of true personal success and the peace of mind that comes from giving your all, they will seek it elsewhere, raise their own bar, and develop the mindset to achieve on the track, in the classroom, and beyond. "I don't get it." "I can't do this." "This isn't working." I don't get it YET. I can't do this YET. This is a powerful word, indeed. In fact, Dweck says that the phrase "not yet" is one of her favorites. Whenever you see someone struggling, remind them of the word YET. "I haven't run 100 miles...yet." 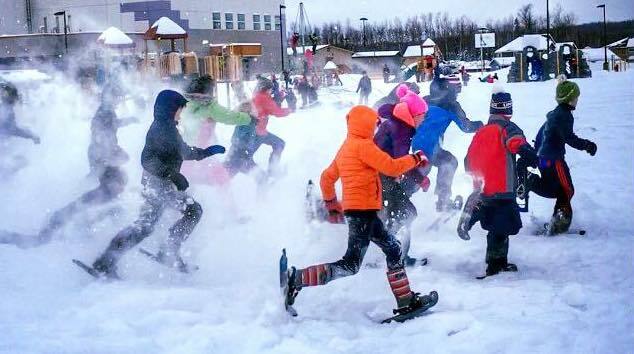 If you’re not having fun, you’re doing it all wrong. Fun isn’t always all WOOHOO!! though. Fun means enjoying it all...even the not-so-woohoo parts of your journey. Fun...it's a mindset too! Dweck, Carol S. (2008). Mindset :the new psychology of success New York : Ballantine Books.